Dune is one of those movies that I never really understood the appeal of, unfairly mind you, I never really watched the whole thing and certainly didn't read the book it was based on. I could just never get past the first 30 minutes without zoning out. It seems though, that this feeling is far from universal as Dune is one of those movies that's always talked about in sci-fi and cinephile circles as iconic, usually ranking somewhere just below Star Wars and 2001: A Space Odyssey in their top 10 lists. For years there has been talk about a sequel or reboot to David Lynch's 1984 version...but it just really seemed like one of those things that would always be mentioned and never made. Not long ago we got word that Denis Villeneuve, who's already proved his skill at re-visiting 80's sci-fi properties with the criminally under-seen Blade Runner 2049, was signed on to direct a reboot starring Hollywood's "It" young actor of the moment Timothée Chalamet. 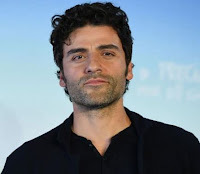 We've learned today that they are adding both some proven talent and star power to the cast with Oscar Isaac. Isaac, who's become most famous for playing Poe Dameron in the Abrams trilogy of Star Wars, has been consistently awesome in every project he's taken part in up to this point and will undoubtedly bring his A game to this as well. There really isn't much detail about Villeneuve's version at this point but we'll keep you updated as more info comes in.